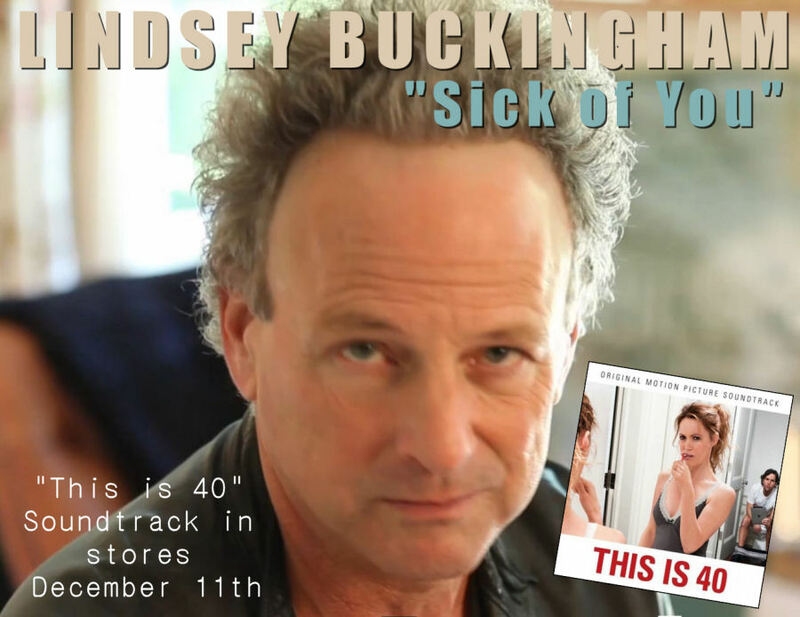 Fleetwood Mac News: LISTEN: Lindsey Buckingham "Sick of You" from "This is 40" Soundtrack - NEW SONG! LISTEN: Lindsey Buckingham "Sick of You" from "This is 40" Soundtrack - NEW SONG! Song starts at 2:39 (second song in). L O V E !! That's got Jon Brion all over it.